Hey everyone! 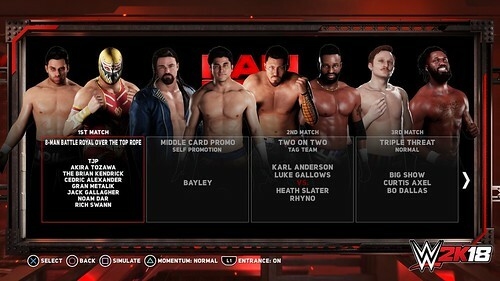 I’m Cristo Kyriazis, the designer in charge of WWE 2K18’s Universe Mode. 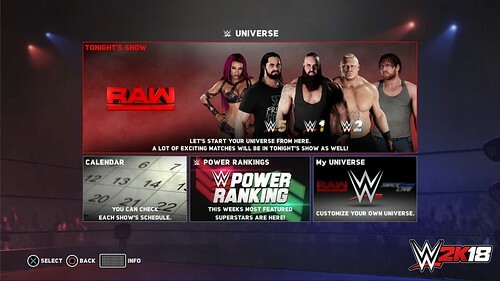 If you’re new to Universe, think of it as a system that recreates the WWE broadcasting experience. 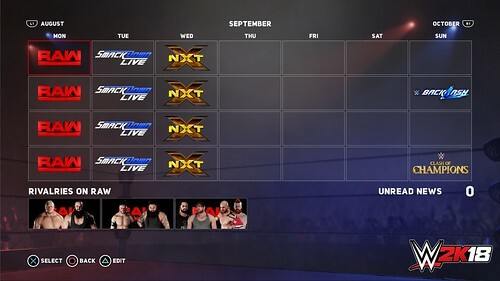 WWE Raw, SmackDown Live and NXT shows happen every week with their own Superstars competing against one another in matches. 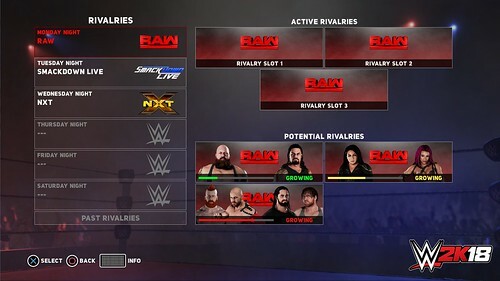 These matches affect championship rankings and build rivalries between Superstars, which culminate at the big monthly events like SummerSlam and WrestleMania. 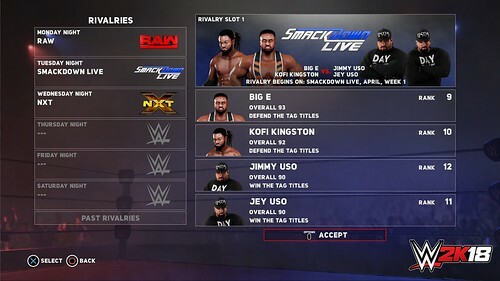 Players are free to jump into any match and play as any Superstar or simply watch and let the action and drama play itself out. Universe also supports a robust level of customization on many levels. 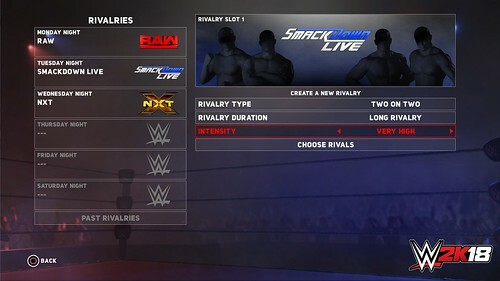 You can incorporate custom Superstars, tag teams, championships, arenas and shows to create your personal WWE. 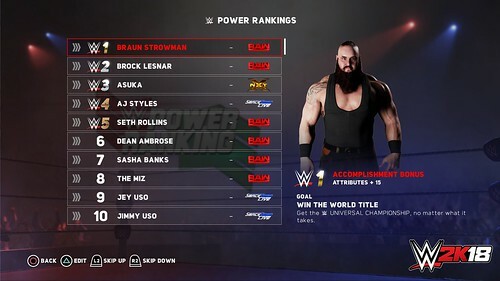 With the tools available with the WWE 2K18 Creation Suite and access to downloads shared from other creators in Community Creations, you can truly create a Universe that is like no one else’s.